I'm just back from Malyasia after holidaying at some really nice places. We sent to Kuala Lumpur, Langkawi and Penang. Among all the places Langkawi was the best. 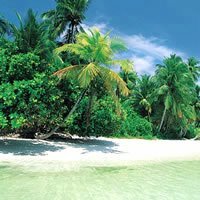 Its a collection of more than 100 islands and the beaches and waterfalls inside the jungles are breathtaking. God willing, I will be posting the pictures very soon (including some travel tips). Thanks a lot for all your good wishes.